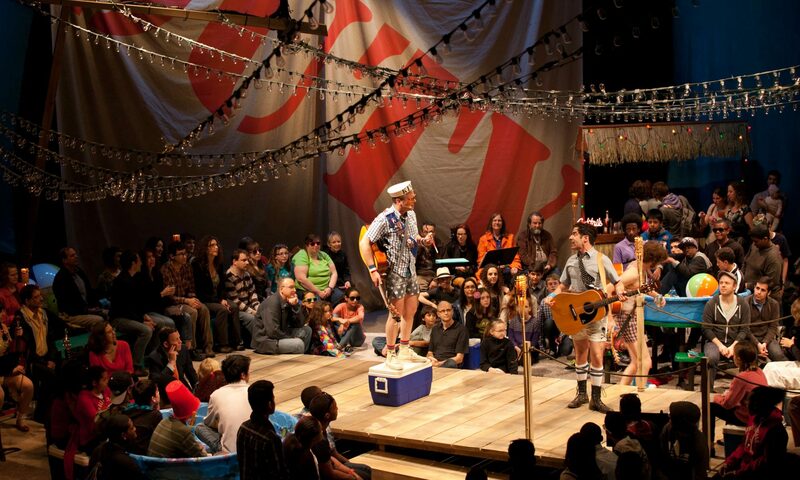 Actionis an Obie Award-winning play takes you right into the living room of a post-apocalyptic holiday. Liza, Lupe, Jeep and Shooter are trapped in a cold, isolated cabin after a mysterious “crisis.” Time has passed since the days of mass-media and indoor plumbing and they are struggling to pull off a holiday meal. Limited food, an uncertain future and overwhelming boredom begin to take their toll with disturbing and absurd results.